Priti Saini has been part of the IT design industry since the last 17 years, delivering experiences for consumers of well-known brands and Fortune 500 companies. She is a strategic thinker and a natural leader, who facilitates workshops, training, research and ideation sessions. Priti is a versatile full stack User Experience designer. 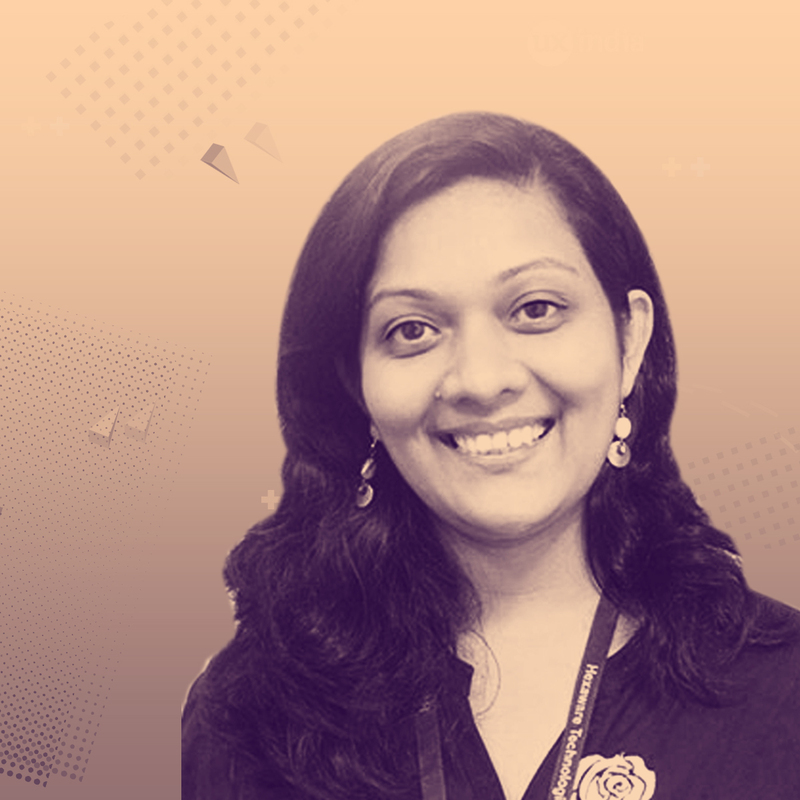 As a UX Manager at Hexaware Technologies, she has prioritized product and usability requirements with business; established corporate design frameworks, standards, and guidelines; and has innovated a hybrid model to integrate UX activities into agile development processes. Along with this she loves traveling and likes to read historical content. She whips up some amazing creative dishes and may treat you as well in her free time. 3 hrs Workshop (Half Day hands on) | Category: Design Practice & Process | Target Audience: All those who are interested in creating a well-designed and consumable product. Early prototyping helps us identify gaps and uncertainty. We also often and widely adopt User Research tools to answer these questions. Role Play is an effective way of visualizing situations the user (not the stakeholder) would face and explore possibilities of generating ideas for that product, in absence of real-time users. It is widely used as an effective tool in Service Design prototyping. In this Workshop, learn how to fine-tune the experience designs that have already been subjected to various tests and tools, to validate user conformity. Discover the knowledge gained before and after Role play prototyping. Design a prototype for an application’s key flows. 3 key user flows will be provided. Workshop participants (3-4 in one team) must design any one flow and create a quick prototype. Create a test goal and test the prototype with Role play by using appropriate props. Observations shall be then shared by all the team members and suggestions have to be recorded. Can accommodate – Max 6 groups of 4 people each. Identify the underlying human Issues from multiple perspectives. A quick and tangible way to test an idea or experience.